Nice bucks. Where in Saskatchewan were you hunting?? Ok I was just wondering because you have to be a Saskatchewan resident to hunt mule deer here except on an Indian Reserve, and I was just wondering which reserve you had been on. Oh well, those are nice bucks! 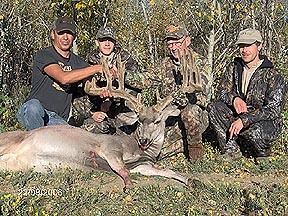 Mule Deer are on a draw system only and the only people that can apply are Sask residents because they have far more applications than licenses. In fact it generally takes 4 years to draw a license. They are about the only big game I can think of where a Sask resident can not even buy an over the counter license or tag. The only exception I think a Sask resident can buy a Mule Deer archery tag over the counter. Mule Deer were nearly wiped out (in the 30's, 40's and 50's) in this province many many years ago before the draws and because of mismanagement. Back then you bought a deer license and you shot a deer and Mule Deer being easier to get than Whitetail, almost wiped them out. Most big game can only be hunted by residents except on Indian Reserves, but there are some Moose, Elk and Bear licenses available through Outfitters that are not on Reserves, but they are mostly in the more northern (forested) parts of the province. But the Non Canadian hunters have to use a guide for all hunts. By the way, Mule Deer populations are way up and they are actually spreading their range northward to areas where there never were any years ago. 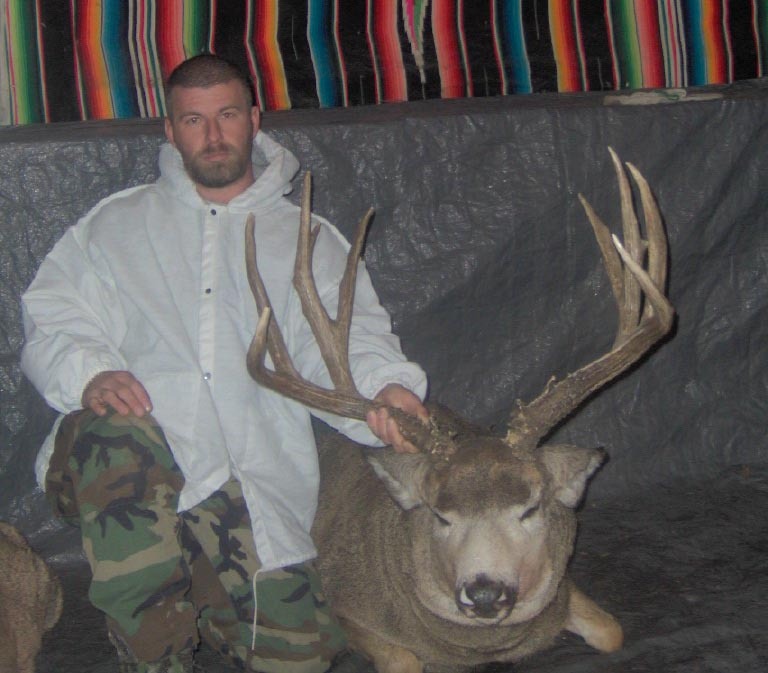 Here a Sask resident can buy a Whitetail tag over the counter every year for any zone, as well as Bulls only Elk tag and/or Bear tag in some zones. I've seen some unbelievable bucks come out of Sask this year. I'll try and dig up some of them... its amazing how big of slugs you get up there. moose2, I sure hope I get more time for hunting this year. The last 2 years I haven't been able to get out much because of my job but that should change this year. Dallan, yes there are some big bucks up here. If I get digital camera I'll have to take a picture of some I have on the wall and post them.